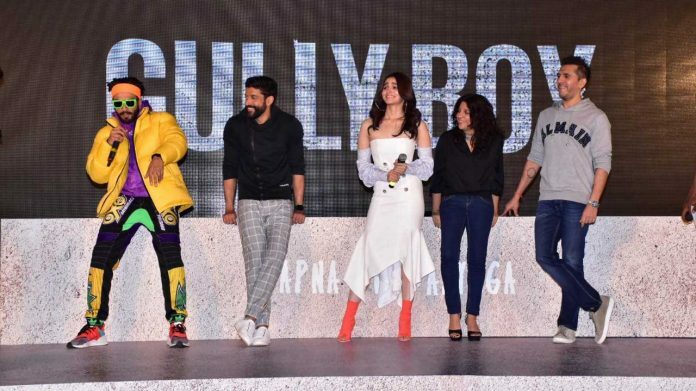 Ahead of the trailer launch Ranveer Singh and Alia Bhatt took to their social media where the actors are seen rapping to Asli Hip-Hop song. While Ranveer Singh is seen casting his inner rapper in the video, Alia Bhatt enjoys the rap in the car while travelling with the gully view. Ever since the Asli Hip-Hop has rap has been released the video has been creating a lot of buzz and the masses are eager to see the trailer which is all set to come out today. Recently, Director, Shashank Khaitan also shared a video in which he has gone ahead to share his version of Asli Hip Hop which was also reposted by Alia Bhatt. In the movie, Ranveer will be seen playing the role of an underground rapper and a part of his journey to become famous has been shown in the clipping. Interestingly, the rap has been crooned by Ranveer only.